This is an experiment. In the great tradition of Socrates and Gallileo, Darwin and Timothy Leary, Jose is going to try something different, unknown and potentially dangerous. Yes, he is going to try to write a KEYS for a football game. To many of Jose’s fans this may not seem like a particularly big deal. "You’ll just right three sort of funny things about the Patriots instead of the Red Sox. No big whoop," you may be thinking. But it is a big whoop, indeed. While Jose has a vast knowledge of things that allow him to appear knowledgeable about baseball (Note: As distinct from a vast knowledge of baseball itself), he has no such granary of information for football. 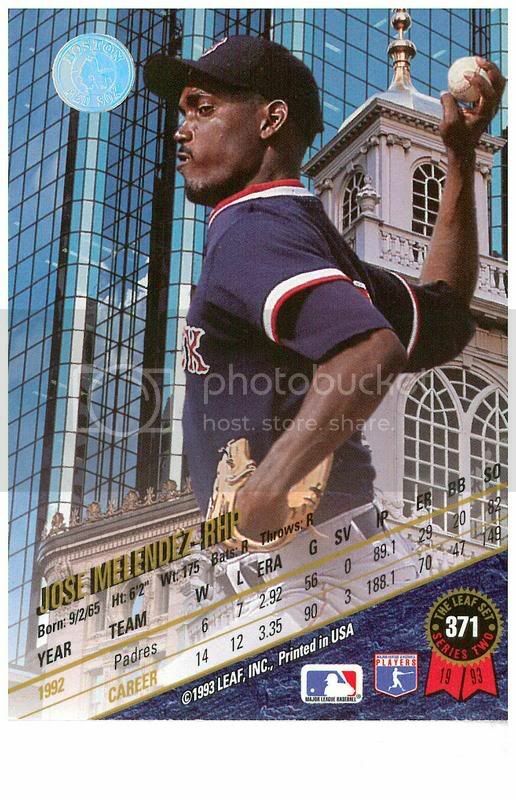 For instance, if Jose was struggling in writing a Red Sox KEYS, he could also say something like "Cesar Crespo is such a bad hitter, he makes Jose long for the golden days of Luis Rivera." Not terribly funny, but it will resonate with a certain crowd. (Note: You.) But what is the equivalent for the Patriots? "Dante Scarnecchia is such a bad coach, he makes Jose long for the golden days of Dante Scarnecchia?" See? Jose may be playing way out of his depth here. But Jose vowed to experiment and experiment he shall. And since Jose believes in science, he will use the scientific method. (Note: Jose believes that the KEYS were created by the interaction of molecules that became cells that evolved over millennia into Jose Melendez. He does not believe that the KEYS were written on stone tablets by God. Jose has looked around his apartment and can’t find any stone tablets, so if he ever had them, he’s long since forgotten where they are. Though Jose has heard that at the end of the original Ten Commandments it reads "I’m Yaweh and those are my KEYS TO LIFE ON EARTH.) First, Jose hypothesizes that a football KEYS will be substandard. Second, he will write a football KEYS in order to test said hypothesis. Third, Jose will evaluate whether the football KEYS really were lousy. Fourth, Jose will publish the results in Science or possibly The Lancet and allow other scientists to try and duplicate his results. Finally, Jose will wait for Gregg Easterbrook a.k.a. Tuesday Morning Quarterback to sue him for writing about football in the third person. 1. Could we arrange for Bills Linebacker London Fletcher to get married to Paris Hilton? Wouldn’t that be kind of funny, at least with the names? Sydney Moncrief could officiate, Sofia Lauren could be the flower girl and Bonn Scott could be the ring bearer. (Note: Yes, Jose knows Bonn Scott is dead, but Bonn isn’t the capital of Germany anymore either, is it?) And ushers? How about the legendary Bucharest Jones and Llubjiana Smith. 3. Jose went to the big shopping center in Everrett with the Melendezette this afternoon in order to return an air filter to Bed, Bath and Beyond; buy a thermocouple for his heater at Home Despot and convince the Melendezette not to buy a pet fish at "Animals for Sale" or whatever that pet store is called. The shopping center was jam packed; traffic was backed up for a good ¼ mile just to get into the parking lot. "What does this have to do with the Patriots?" you may be asking. Well, Jose thought about why there was such a terrible backup, and it occurred to him that every football loving man in Eastern Massachusetts was being dragged out for Sunday errands for the first time since the week three bye. This is unfortunate. Since next week is a Monday night game, we really should have worked out some kind of lottery to determine who would run errands this Sunday and who will run them next Sunday, you know, just to control traffic. I’m Jose Melendez and those are my KEYS TO THE PATRIOTS GAME.